My mom-in-law also gave a nice gift for us: 10 sets of china, consisting of wide plates, small cakes plates, deep-base plates, bowls, sauce bowl, s erving plates, mugs, and cups. Something i had been dreaming of buying, but reluctant because they cost a fortune. Her plan is to use these sets for a pre-christmas dinner at my apartment. I am so relieved that she gave me these china sets, as enjoying massive of meals with IKEA plates i typically use, would probably not give the nice dinner experience. Speaking about dinner, my mom-in-law had an ambitious plan: to drive three whole pans of pinnekjøtt (Norwegian christmas dish: dices of salted sheep meats boiled and ovened for hours and served with puree or boiled potatoes) all the way from Norway to Denmark; not forgetting the medisterpølse (Scandinavian pork sausage) and riskrem for the dessert. I tried to offer if i should make some danish christmas dish, but she thought that there would be too much foods. Besides, “Sigvart (my husband) misses norwegian foods”, she explained. Understood. 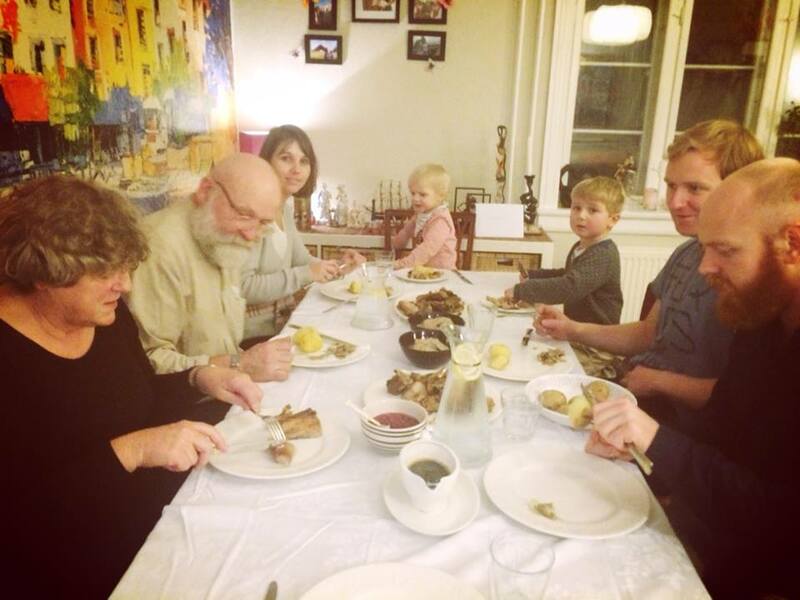 When it comes to christmas, she is the big lady, who wholeheartedly assumes the responsibility that the foods suits her entire family’s taste and to make it as Norwegian as possible. Don’t get me wrong…I like that she does all these. 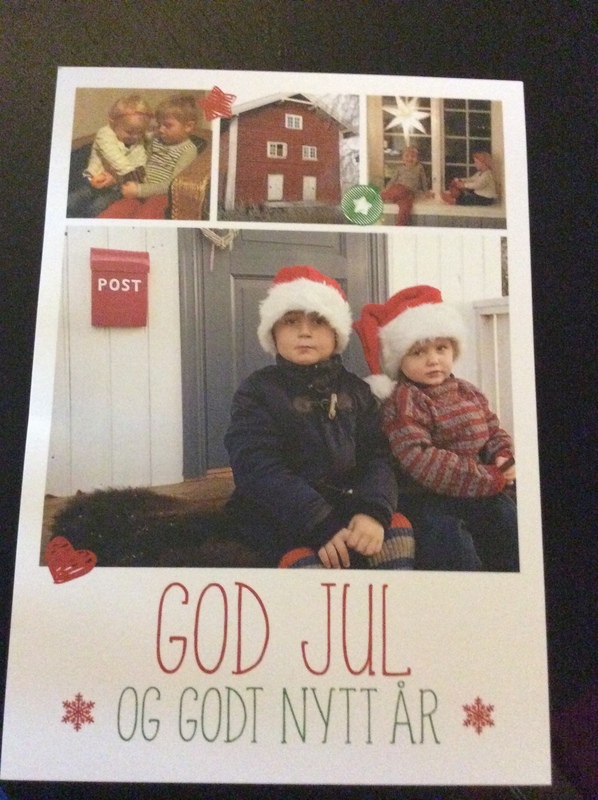 I couldn’t make a good norwegian food, and Christmas dinner is expected to be traditionally comfortable. It’s her forte. 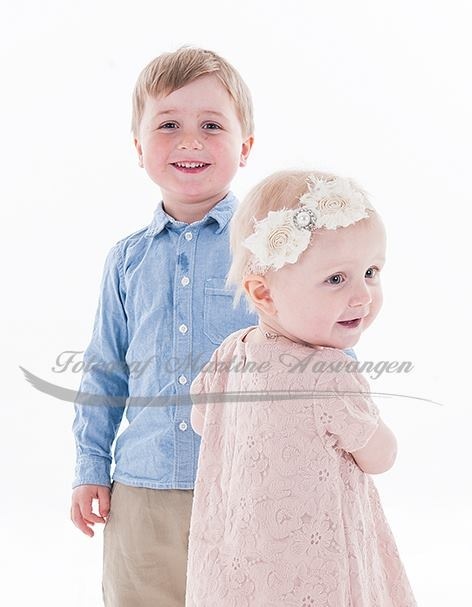 My nephew, Jens, and my niece, Astrid, are getting bigger and bigger, though they are still kids under 5 year-old. And they are super cute, though of course, demand attention all the time. The funny thing was, they are not used to Copenhagen typical small bath room. When Jens entered my mini bathroom, he instantly made a comment which the adults probably were carefully not mentioning it to maintain politeness: “Dette er so litten” (It is so small). Not everybody sleeps in my apartment, though. There is simply no place. So, the kids, my parents-in-law stayed at mine, and my aunties-in-law, while the rest slept at the hotel. It was somehow good for my brother-and-sister-in-law to have their own private time, while their kids slept at my apartment. They probably have a hard time to think for their own pleasures because they have to pay attentions to so many things, from the kids to full-time-jobs to the big house, and the farms. They also carried so much stuff, which mostly belong to their kids, every time they traveled. Not practical at all. Looking at them make me think many many many times about not having kids. I just don’t know if I want this kind of ‘busyness’. Other agenda were visiting the Copenhagen zoo and Tivoli amusement park. Nothing special to me, but certainly for the kids. Yes, having kids means you can only travel to the places which suit your kids. Jens was happy to see visit the zoo for the first time, where he saw tigers, lions, and leopards. Traveling in busy Copenhagen is not always easy for foreigners, even if they are Norwegians, who are considered brothers by the Danes (are they?). The most problem is they don’t understand each other. They were hardly able to decode to each others’ language, which is funny because many Norwegians and Danes think that they understand each other language (written wise, yes…but verbally…errrggghh…nej). My brother and sister-in-law had to feel shut down at the shops, where the sales assistants were simply replying them with “Hvad siger du?” (what are you saying?) or “Hvad?” (what? ), after the two explained long descriptions regarding items they wanted to buy. What happened to my parents-in-law brought them to another level of annoyance: they were denied to pay bus ticket because they only had 200 kr. which was never ever mentioned on the law that passengers cannot pay with 200 kr. The bus driver then threatened to penalize them with 758 kr. fine each. Confused with what the grumpy bus driver said, I had to step in and technically argued with the driver. In Danish. The incident stopped after he agreed to accept the 200 kr. and gave changes in coins. “After two years living in Copenhagen, I stopped being sweet. It doesn’t help me in getting what I need. If i were being sweet and submissive, the person I argued with would continue bitching me. I had seen the way the Copenhageners argued at the cashier counters, in the bus, the trains, streets. Hardly I noticed they were being sweet and submissive. Being snappy and firmed on what you want are sometimes the common conduct here, which are not nice and tiring (crankiness is contagious)”, I explained to my norwegian family. “But it could be that it’s the capital city’s attitude”, I added. The Midling-Hansen’s family has now back in Norway. I am happy that I could have them in my apartment this December and a bit sad that we are going somewhere else (to Budapest and no family) for Christmas, instead of Norway.